The City of New York passed legislation on Wednesday that incrementally displaces 20% of the heating oil sold within the city with biodiesel. The bill, which passed by a 47-3 vote and is expected to be signed by Mayor Bill de Blasio, will increase the amount of biodiesel in heating oil in the City from the current 2% level to 5% by 1 October, 2017. The blend level then moves to 10% in 2025, 15% in 2030, and 20% in 2034. 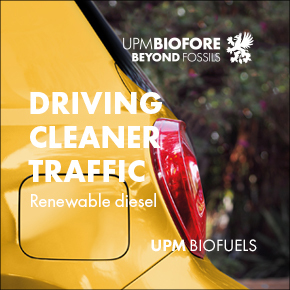 National Biodiesel Board (NBB) estimates that the increase from a 2% blend to 5% would reduce emissions equivalent to taking 45,000 cars off the road, with the increase to 20% being comparable removing more than a quarter of a million cars. “New York City is once again setting an example for the rest of the Northeast to follow by ensuring consumers are provided with the nation’s cleanest heating oil,” said Donnell Rehagen, COO at NBB. Several organisations supported the legislation, including the heating oil industry, labour organisations, and environmental stakeholders in the city. 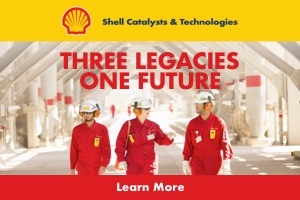 “The New York Oil Heating Association has played a vital and vocal role in advocating for the increased use of Bioheat fuel,” said Rocco Lacertosa, CEO of the New York Heating Oil Association (NYOHA). “Heating oil in New York City is already, by far, the cleanest heating oil sold anywhere in the United States. The new Bioheat requirement, starting at B5 and eventually going up to B20, is a necessary next step to promote a more sustainable fuel that will reduce our contribution to climate change while enhancing green job creation, encouraging energy independence and supporting local businesses,” he continued. Yet some environmental organisations have raised concerns that increased biodiesel use might end up causing more harm than good in the form of indirect carbon emissions. Jonathan Lewis, senior counsellor on climate policy at the Clean Air Task Force, wrote to the City Council on 20 September, saying the policy change will also boost the production of harmful raw materials for biodiesel. “Increased demand for vegetable-based biodiesel will contribute to higher levels of palm-oil production and higher net GHG emissions,” Lewis wrote. Biodiesel is the first commercial-scale fuel to meet the Environmental Protection Agency’s definition of an advanced biofuel, requiring it to reduce greenhouse gas emissions by more than 50% when compared with petroleum diesel. New York City has a history with biodiesel, as in 2013 it planned for its 9,000 diesel-powered municipal fleet vehicles to use biodiesel blends. The city has experienced a 19% reduction in carbon emissions since 2005, and according to the NBB it is on track to reach an 80% reduction by 2050.